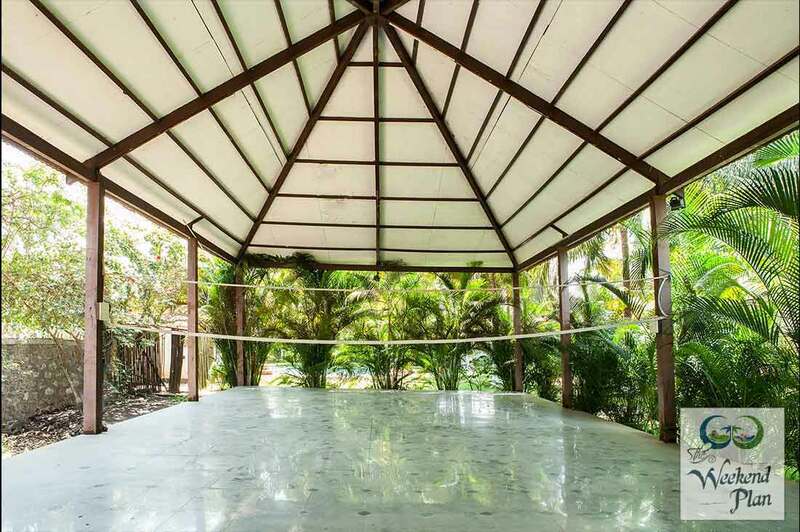 Designed and owned by an architect, this family bungalow invites guests to meander the one acre property exploding with trees, to sit back and indulge in life's simple pleasures merely a short drive to the beach and about 20 mins away from the jetty. We can accommodate upto 13 adults at this property. The Weekend Plan does not discriminate, however the ownersof this residence do not prefer male stag do groups. Families, couples and girls groups are very welcome here. Kihim Beach - 15 mins drive;Jetty - 20 mins drive; Vashi- 74 kms;Pune - 137 kms. 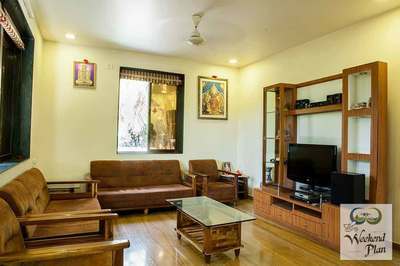 If you prefer home cooked food, we have arrangements with local cooks, who for a charge of ₹3,500 upwards will come and prepare dishes at the property itself.You can plan your menu before hand so that the cook can buy the freshest ingredients on your behalf and prepare the dishes at reasonable timings for about 10 odd guests, bigger groups should consider hiring additional cooks. Be it a sunny summer afternoon, or a cool chilly winter night, we promises a relaxing and homely experience to anyone in need of a break from Mumbai's busy city life. A humble, modern villa designed for family and friends, the house exudes a candid personality, is honest, forthright and welcoming. We doesn’t boast of luxury but encourages you to indulge in simple and thoughtful spaces that help carve a more memorable experience. The main villa comprises of 3 airconditioned ensuite queen sized bedrooms, a fully equipped vegetarian kitchen; television and aux music player; filtered swimming pool; landscaped lawns and gardens; open spaces; resident staff with quarters for your staff; & ample parking provision. 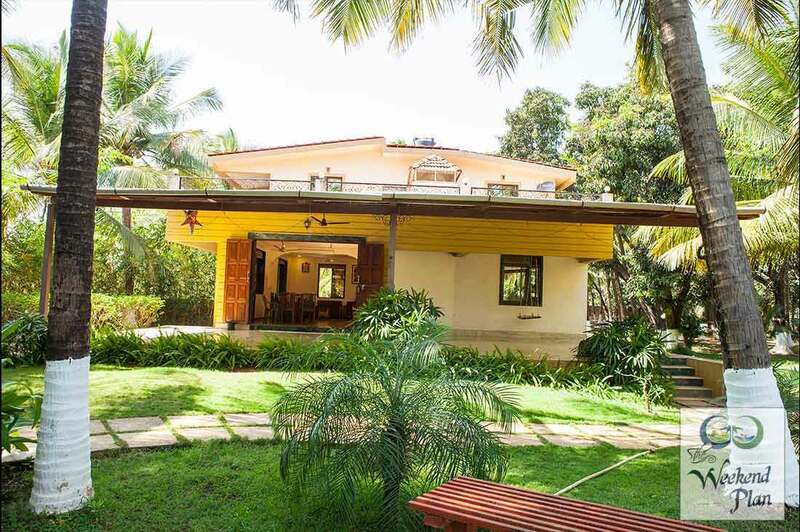 Designed and owned by an architect, this family bungalow invites guests to meander the one acre property, to sit back and indulge in life's simple pleasures. 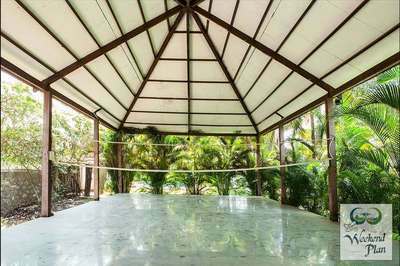 Take a dip in the pool and enjoy the vibrancy of Alibaug. Or head down to Kihim beach for some sun and sand, we're in a safe, friendly neighborhood so don't hesitate to step out for a while. The staff here will manage daily housekeeping. The caretaker family help hire a local cook (at an extra cost) who will discuss the daily menu, get fresh ingredients on your behalf and cook up tasty authentic dishes.